This dish is perfect if you’re feeling like an enjoyable, longer-than-usual cooking session (great for a Sunday afternoon with vino in hand). The ingredients are few, and simple - eggs, flour, lemons, milk, basil, spinach and butter is all it is really, if you’re making you’re own ricotta. The reward is deliciousness! This dish involves three simple steps - pasta dough, ricotta filling, butter sauce. Put the flour on the bench top (or in a bowl if you don’t want mess) and make a well in the centre. Crack in eggs. Use a fork to gently beat the eggs and slowly incorporate all of the flour until a dough form. Add a splash of water or extra flour as necessary - dough should firm, not sticky. Knead for a couple of minutes, wrap in plastic and put in the fridge to sit while you prep the ricotta filling. 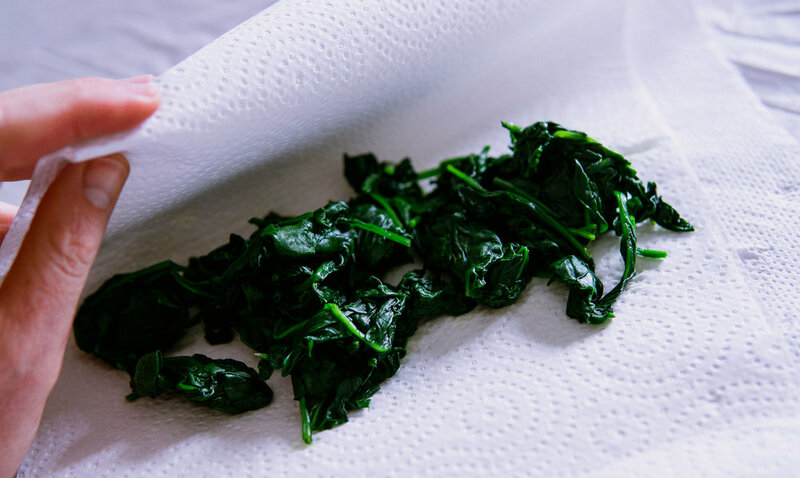 Rinse the spinach leaves and cook in a frying pan (or the microwave - same result), just enough for them to wilt and reduce down a little. Don’t overcook! Strain the liquid in a colander, then wrap in paper towel to get any additional liquid out. It’s got to be very dry. 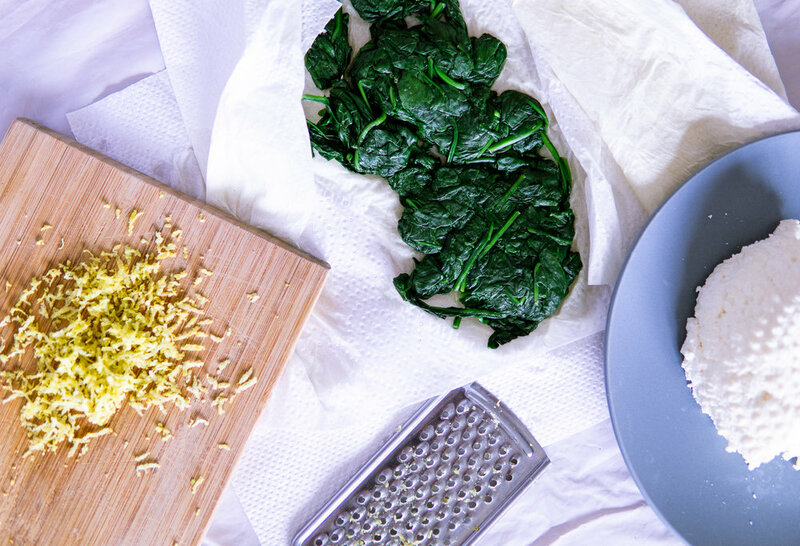 Chop cooked spinach finely and add to bowl with ricotta, lemon zest, salt and pepper. Mix well. Divide the dough into small portions and roll through several time on the widest setting, folding and re-feeding it through the machine several times. 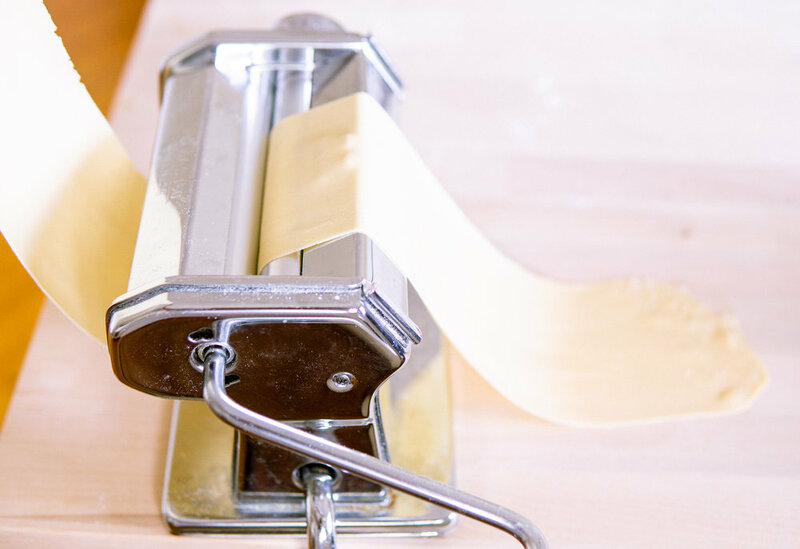 Then keep feeding it through until it’s at the thinnest setting, and you have one long, smooth sheet of pasta. 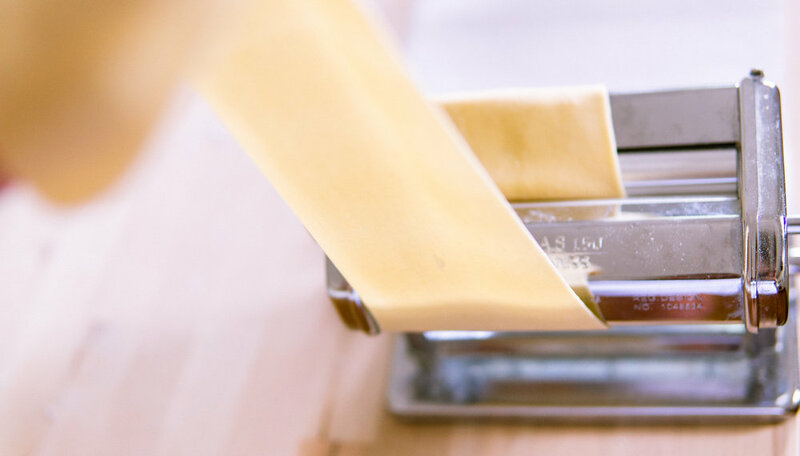 Note: It’s easiest to see how this process is done, so if you’re unfamiliar with pasta dough here’s a simple video I found that will assist greatly. 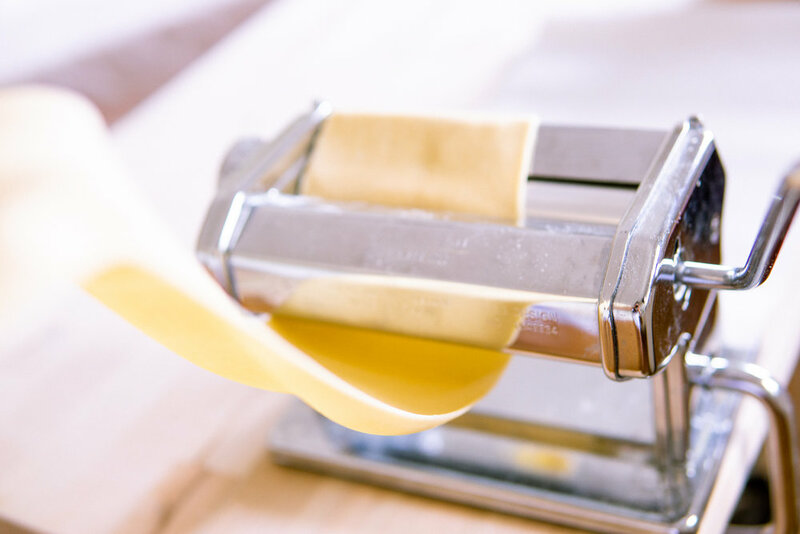 Cut the thin sheet of pasta in half and lay on a floured surface. On one half, dot teaspoons of the ricotta mixture, spread out evenly. Then using your fingers, use a little water to moisten the pasta around the mixture. Place the other half of the pasta on top, press down firmly to join the sheets and then cut into individual raviolis using a sharp knife. Store these on a floured tray until it’s time to cook. Add butter, lemon zest, basil to a hot frying pan. Melt. Add olive oil, lemon juice, salt and pepper. Cook the raviolis in batches - each batch for 3 mins in boiling water. Remove with a slotted spoon and ad directly to the hot butter sauce pan. Coat in all that buttery goodness, cook for another minute and serve hot with lots of grated parmesan cheese.